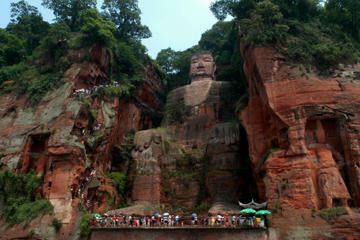 A day trip to the Leshan Buddha is easily made from Chengdu. 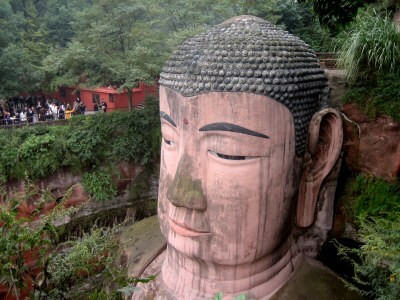 This is the largest Buddha in the world, located in a beautiful park setting in Leshan, about a two-hour drive from Chengdu. The Giant Buddha, known as Dafo by the Chinese, is carved on the side of the hill, where he sits tall 71 meters high (233 feet) overlooking the river. 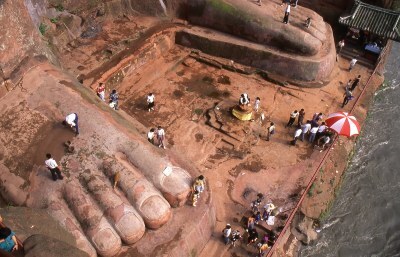 It took more than 90 years to carve, and is now one of UNESCO's World Heritage Sites. According to the legend, carving of the statue began by a monk called Hai Tong nearly 1,300 years ago. Construction started at the spot where three rivers came together, which caused strong currents and turbulent waters, causing a lot of the local boatmen to capsize. Hai Tong hoped to build the Buddha to appease the water spirits. 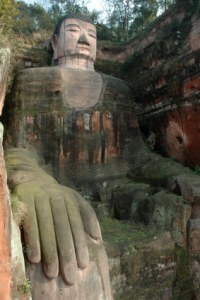 The Great Buddha would be the protector of the waters and watch over the many boats that traversed the river. After construction of the Buddha, 90 years later, so much debris and stones had fallen into the river, that it caused the water currents to calm down and all believed that the spirits had been brought under control. There are a couple ways to see Dafo. First, coming in through the park itself, or if you prefer, taking a boat trip on the river. As you come through the park entrance, you walk through a short trail and come to a viewing platform where you are face to face with the Giant Buddha. Check out the ears, each is seven meters (23 feet long). And the hair, is all made of over a thousand buns, each as big as a table. There is a narrow stairway on the right side of the Leshan Buddha, thankfully with rails, that bring you down to Dafo's feet after 250 steps. Each foot is 11 meters long. And check out the toe nails, each is big enough to set a table and have your tea! You can go back to the park entrance the same way, or follow the opposite trail which takes you along the river bank and gets you back up to the park. There is a lot to see in the Scenic Area park besides the Giant Buddha. The entire park is dotted with numerous temples and beautiful views. You can bring a picnic to enjoy in the grounds. 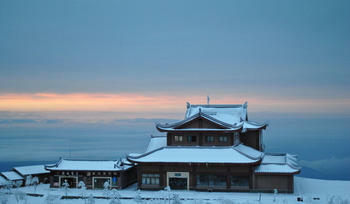 The main temple in the surroundings is Lingyun Temple, and it has rows upon rows of Buddhas. You can also have a great panoramic view of the Great buddha from the water. Boats leave from the Leshan City pier, and you do get a different perspective. There are numerous carvings on both sides of the Buddha, which you cannot see from up close when you are at the park itself. Boat trips tend to get crowded and if you come during the high season, you might have to wait a few hours to get on one. The crowds are also something to beware of at the park, there might be long lines to try to get down to the feet, and if you are going with children, you need to pay special attention. 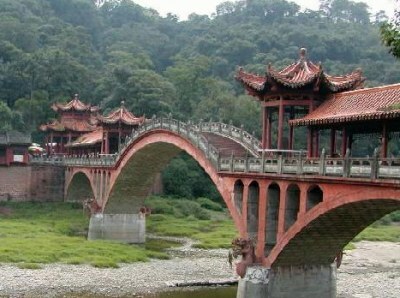 If you have the time, a trip to Leshan can be combined with an overnight trip to Mount Emei, there is great hiking here to be enjoyed by the family. 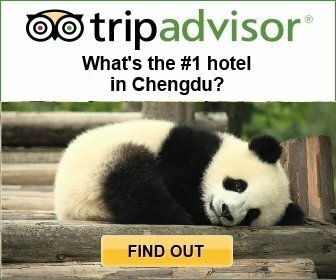 More Tours from Chengdu here.